The company, one of the main sponsors of the event, will show its latest solution to global organisations attending the event. VRX Europe is a worldwide leading immersive technologies event taking place on the 10th and 11th of April in Amsterdam. The event focuses on the immersive technologies in the B2B field , and will bring together more than 300 business representatives, including ABB, BASF, Bayer, Audi and BMW among others. 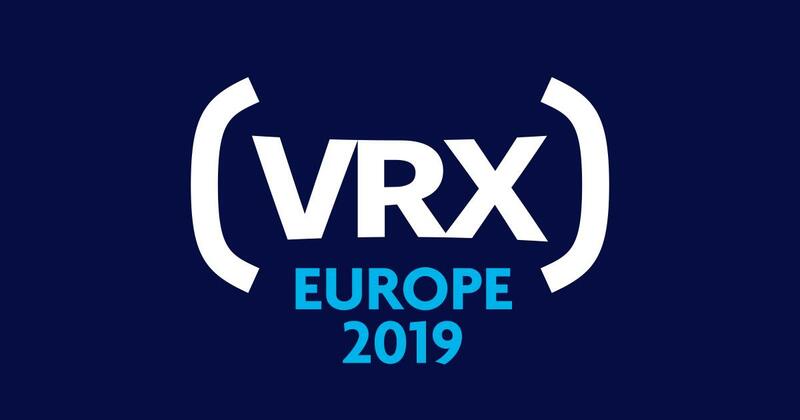 Virtualware, one of the main sposors of VRX 2019, will present VIROO at the current edition of the event. Sergio Barrera, CTO and co-founder of Virtualware, will participate with the talk “Boundless VR technology: Virtualware Unlimited Multi-user Immersive Rooms” and will show VIROO to 300 representatives of global organisations across different sectors, such as leisure, health and manufacturing. Virtual reality rooms are growing in the enterprise segment. However, solutions that currently exist in the market have limitations in terms of size, number of users and their complex management. In addition, the tracking systems offered by these manufacturers are expensive and have limited functionality. In addition to the existing limitations up to date, large Virtual Reality rooms had another inconvenience: the complex management of the room operations, including handling multiple systems, computer equipment and networked devices, as well as generating and deploying content by people with no expertise in managing such a complex infrastructure. The equipment and hardware, either Nmerso, the internal tracking technology patented by Virtualware or third party technology which can be integrated thanks to the flexible architecture. The software package called VIROO Suite, which allows to generate and update content in a simple way, obtaining maximum results by eliminating the need for an expert developer in Virtual Reality. Thanks to VIROO, the room becomes affordable and easier to maintain for any organisation or research institution. Virtualware is a global company specialized in the development of bespoke solutions based on immersive and interactive technologies (virtual reality, augmented reality, serious games, gamification, custom interactive devices…). Founded in 2004, over these 15 years Virtualware has developed more than 500 bespoke projects for companies and organizations in various business areas and sectors of activity, with more than 300 customers, among which are: Petronas, Alstom, Jaguar Land Rover, Faurecia, Iberdrola, Repsol, Tecnatom, Guardian, Vidrala, Irizar, Suez Environment, Adif, Cuervo, Colgate, Bayer, Biogen, Merck, Kings College, Kessler Foundation, NBC Universal. Virtualware is the core company of Virtualware Group, a global technology group specialized in the development of innovative digital business models.